Vivo has launched another new smartphone in China in its Web series. The handset has 128 GB inbuilt storage with 4 GB of RAM. Vivo finally launched his new Vivo Y93s smartphone in China. The Vivo Y93 S comes with a gradient finish on the rear, which gives it a premium look. Talk about the specialty, Vivo has given the MediaTek Helio P22 processor and 4030mAh battery in its new handset. 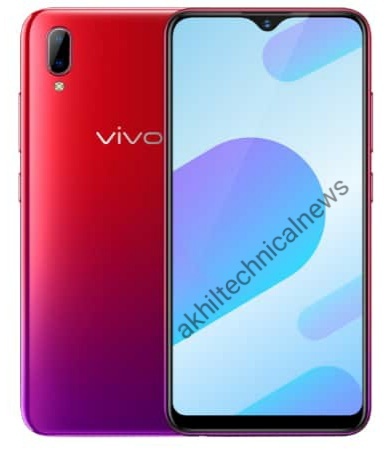 Vivo's new handset can be called upgrade variant of the company's previous handset Vivo Y93. The price of Vivo Y93 S is 1,698 Chinese Yuan (around Rs 17,500). The phone will be available in Aurora Blue, Aurora Red, Starry Night Black, and Zixia Red Color. All these color variants come with gradients finish. The Vivo Y93S has a 6.2-inch HD + display with an aspect ratio of 19: 9. The phone has a Waterdrop Nouveau display with a selfie camera. The handset has the Octa-Core MediaTek Helio P22 Chipset. The phone has 4 GB RAM and 128 GB inbuilt storage. Storage can be extended through the MicroSD card. Explain that the company says that the phone has built-in e-sports mode 2.0 which will give better gaming performance in the phone. the Vivo Y93 S has two AI cameras of 13 megapixels (aperture F / 2.2) and 2 megapixels (aperture F / 2.4). Both cameras make the mode like Ai Portrait mode, PDAF. 8-megapixel front camera with aperture F / 2.0 in the phone comes with an AI feature featuring Face Wake Face recognition feature. The company says that with registered face ID, the phone unlocks itself in seconds. The Smartphone Dual Sim Supports. 4030mAh battery is given to power Vivo's smartphone. Apart from this, the company's AI Assistant, Jovi is also present. For connectivity, features like 4G VOLTE, Wi-Fi, Bluetooth, GPS, and Micro-USB (OTG) have been provided in Y-93S. The dimensions of the phone are 155.11 × 75.09 × 8.28 millimeters.